I have an 1898 rifle, serial number 180570. Stock cartouche on the left appears to be ? L A 1900. left side markings are a large 2, smaller 26. Any information will be appreciated. The rifle is in very nice shape. The serial number in Joe Poyer's book "The American Krag Rifle and Carbine" indicates March 1899 for your rifle. This book is still in print. The cartouche should be JSA for inspector JS Adams. Post some pictures and you will get a lot more input on what you have. Thanks! Will figure out the picture process. 'mike in kansas' - Welcome to the KCA Forum. That is a nice looking U.S. model 1898 Krag rifle that you have. As 'Knute' pointed out, rifle #180570 would have been assembled around March, 1899. The "J.S.A. - 1900" stock marking is what most collectors now call an "Acceptance Cartouche". It was placed on U.S. rifle stocks at the time of inspection and acceptance for service. (Joseph Sumner Adams was the Asst. Foreman of the Assembly Room at Springfield Armory. His stamp appears on most U.S. Krag stocks). There should also be a 'circled script P' on your stock, in the area behind the trigger-guard. This indicates the arm was 'proofed' and tested for function. Krags were in U.S. Military and National Guard service, until after WW1. Many were arsenal rebuilt or reconditioned. When a Krag went through this process, it was disassembled and good parts were refinished and reused. Krag stocks are often not 'original' to the rifle. If done while in service, it's still 'correct'. (Old markings remain on stock ). IMHO - It is likely your Krag was reconditioned at some point. The grain of your stock appears to be Italian walnut. A lot of Italian stocks were used from 1899 to 1901, (when the armory was in short supply of cured black walnut blanks). The Italian stocks have beautiful grain and are lighter in color than American black walnut. The Italian stocks were often stained dark to better match the other arms in a unit. (Hidden stock areas may be much lighter in color). The "2" over "26" marking is likely a 'unit and rack number'. The Krag was in use by Army, National Guard, and eventually Navy and Marines. There seems to be quite a variety of unit marking styles. Your Krag has the model 1901 rifle rear-sight and hand-guard. Lore has it that this was the preferred rear-sight on Krags, still in Army service after 1905. (This was because of its similarity to the 'model 1905 rear-sight' on the 1903 Springfield rifle). 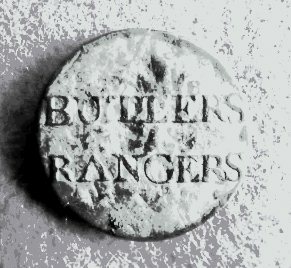 Butlersrangers, any thoughts on the appearance of the serial number? Different fonts, some numerals appear fresher/less worn, lack of consistency, etc. Not saying it’s not “real”, just curious about how it looks. The numbers look fine to me. It is kind of amazing how difficult serial numbers are to read on some Krags and the font style used seems to change over the years. I suppose Dies or Stamps got pretty worn and were grudgingly replaced.